Leveraging the modern and user-friendly Google® Android™ operating system packed with Honeywell extras, Honeywell’s Dolphin™ 7800 Android™ rugged EDA offers remote device management capabilities and invaluable security features, creating an enterprise-ready solution with an extended lifecycle and support provided by Honeywell. For demanding mobile workforce applications that require multiple tasks to be completed in a limited amount of time, the Dolphin 7800 Android™ enables multi-purpose computing, communication, and data collection at desktop-like speed, empowering workers to get the job done. Mobile workers need compact, lightweight devices that are designed for durability and usability. With a magnesium inner chassis and engineeringgrade plastic housings, the field-proven Dolphin 7800 Android™ provides unsurpassed reliability, without the extra bulk that often accompanies industrial-grade mobile computers. A large, high-resolution, outdoor- and off-axis-viewable screen maximizes productivity and ensures easy viewing of data in virtually any lighting condition. Multiple keypad options allow enterprises to choose the layout that best suits the needs of their mobile workforce. Adaptus™ Imaging Technology 6.0 enables fast scanning of linear and 2D bar codes in various lighting conditions, while an integrated color camera enables seamless image and video capture. 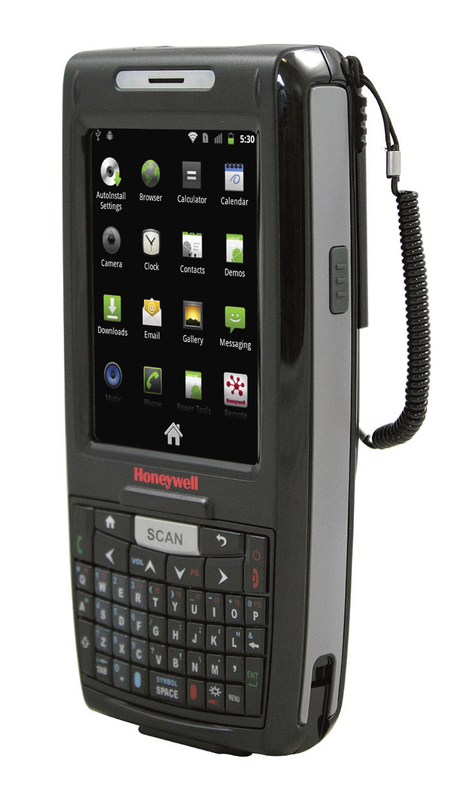 When the benefits derived from consumer operating systems are desired in a lightweight yet reliable mobile computing solution, Honeywell’s Dolphin 7800 Android™ rugged EDA delivers the functionality required to protect an enterprise, while maximizing the productivity of its workforce.